Many of the rogue-lite games we see these days all fall within the boundaries of the "twin-stick shooter" genre. While both Charles Webb and Daniel Crockenberg of Faux-Operative Games are fans of these titles, they wanted to do something a little different with Ruin of the Reckless; they wanted to make a "twin-stick fighter." We spoke with Charles about what that descriptor entails and their vision for Ruin of the Reckless. Co-Optimus: Thanks for speaking with us about Ruin of the Reckless. Before we get into the game itself, tell us a little bit about yourselves and how you got started in games development. Charles Webb: Hey Co-Optimus. Firstly I just want to thank you guys for taking the time to interview us. As to your question, Daniel and I have been designing games since we first met shortly after college. We designed a board game called 'Faux-Operative' which is about secret agents working as a team except one of them might be a traitor... I would say the design was a success, but self-publishing a board game just required resources we didn't have access to. From there, we wanted to move on to video games. 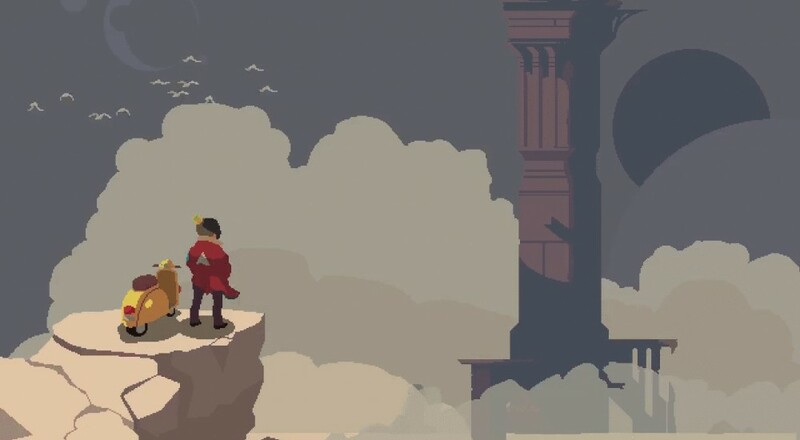 We had each studied programming previously, and once we saw Samurai Gunn and started researching Game Maker we knew we had to see what we could do. We started working in game maker, getting used to the tools, shaking the programming cobwebs off, until we felt we were ready, and later, Ruin of the Reckless began to grow. 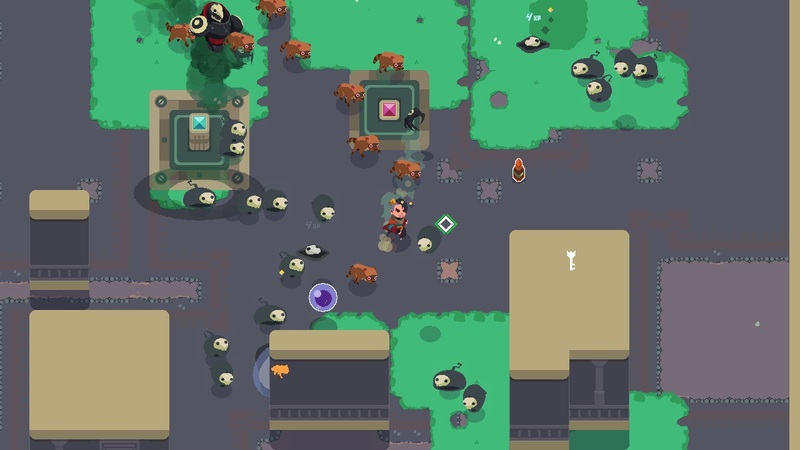 Co-Optimus: You’ve described your title as a “twin-stick fighter roguelike”. Could you elaborate on that a bit? What’s the minute-to-minute action like? Charles: Sure, of course. Ruin of the Reckless is very fast paced, and focused on melee combat, with players dodging in and out of 'hot zones', enemies closing in from many directions, with a lot of threats to assess at once. Controlling the crowds of enemies using your abilities and the momentum of different attacks combined with the size and shape of the area is key to success. Ranged attacks exist but they are usually more expensive or come with a cost, so a lot of the time players will be fencing with enemies trying to take them out without putting themselves at risk. We like pushing players to put themselves at high levels of risk though; usually in order to get extra rewards (like extra experience, or coins.) So we are not pursuing the typical rogue-lite style pace where players are encouraged to take their time and relax. Co-Optimus: What been your overall approach to the co-op design? For instance, does the difficulty scale with a second player and, if so, how. Are there special moves or tactics/strategies that two players can employ that a person playing solo could not? Charles: Well in keeping with our name, Faux-Operative games is all about pushing the adversarial elements of the co-op experience. In Ruin of the Reckless that really comes out. There is friendly fire, and there are no extra drops for a second player. So that means that we really require our players to work together in co-op mode. Who should get the regeneration orb? Who should get the Belt of Reflection? What abilities can I use safely without hurting you? Where, and how, should we fight to avoid hurting each other? How should we split up enemies? If you ration your resources wrong, or if you don't work together, you won't last long. But there's always that selfish element of, "oh, you wanted the regeneration orb for your build? Guess that's not happening now." We really like that type of thing. Co-Optimus: As the co-op is local only, are the benefits/upgrades/cards that the first player earns shared with the second player? Can the second player customize their character to any degree? Charles: Okay, so this is one thing that really bothers us about a lot of the co-op rogue-lites out there, is that they handicap the second player. Like in Binding of Isaac Rebirth, (a game I quite like) they made the decision that the second player is a little floating pet and doesn't really get to do much. We don't like that. Both players are fully autonomous. They each gain experience separately, they have their own abilities, their own items, and their own customization, their own life totals. Players do share money though.